? Inflict 800 Direct Damage to your opponent's Life Points.
? 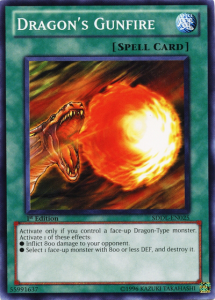 Select 1 face-up monster with 800 or less DEF, and destroy it.